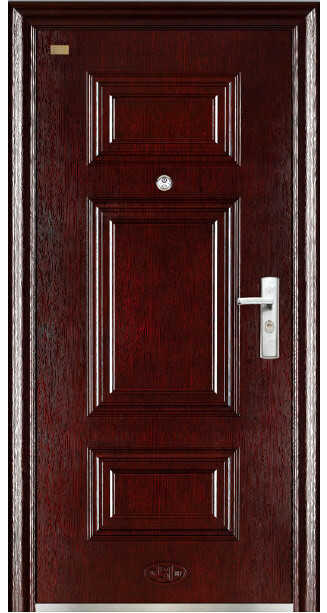 BY-S-33G BY-S-33G - Steel security door,Exterior door - China Buyang Co.,Ltd. 4.Surface:Copy wood grain process ,the concave-convex feeling greatly. 5. Lock:Primary Lock,Side lock,top and down lock.